A recent article published in The National Interest explores what Taiwan would gain from reunification with the People’s Republic of China (PRC). The article first argues that Taiwan is a sovereign State meeting all the criteria for statehood, which in turn means it cannot be argued that it is a separatist entity. According to the author of the article, Taiwan has no interest, neither political nor economic, to unify with the PRC. With a third transition of power in Taiwan in 2016 looking increasingly likely and attendant fears that a return of the Democratic Progressive Party into office could “jeopardize” relations with an intransigent regime in Beijing, the “Taiwan Question”—and more pointedly the matter of its official status—is once again a topic of interest among Asia experts and political analysts. Some, apprehending the high risks of maintaining security guarantees to Taiwan, have recently counselled a shift in U.S. policy aimed at striking a “grand bargain” with Beijing, ceding Taiwan in return for concessions by China on other longstanding territorial conflicts. At the heart of those lies a key question: Under which terms would Taiwan’s 23 million souls consider a political union with China as an acceptable outcome? As I seek to demonstrate, the viable options are probably very limited and are well beyond what Beijing is currently willing to put on the table. It is important that we establish at the outset what Taiwan—or the Republic of China (ROC) as it is officially known—is and what it isn’t, as this will have a direct impact on the types of political union that could be possible. Despite Beijing’s official stance, Taiwan is a sovereign state in every sense of the word, meeting all the criteria for statehood (elected official, a designated territory, armed forces, a currency, and the ability to engage in diplomacy with other countries and so on). While it only has official diplomatic ties with 22 countries, Taiwan enjoys de facto relations with the remainder of the international community, whose diplomatic and commercial interactions with Taiwan are handled by diplomats in the employ of “trade offices,” “institutes” and “associations” rather than actual embassies. Although this may sound self-evident, it is anything but. Many people around the world do believe the Chinese propaganda to the effect that Taiwan is a “province of China” awaiting “re-unification.” As a result, the perception is that Taiwan is a “breakaway” or “separatist” entity that legally exists within and is defined by the parameters of a “mother state,” in this case the People’s Republic of China (PRC). The distinction is an essential one if we are to fully comprehend the idiosyncratic situation in the Taiwan Strait and the great challenges that are associated with efforts to find a just and peaceful solution to the conflict. 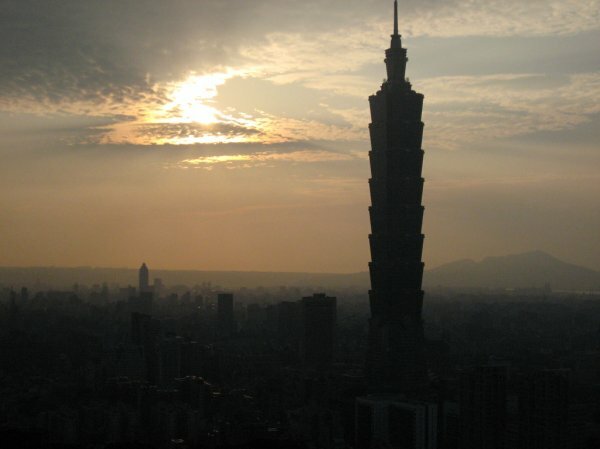 Beijing’s claims notwithstanding, Taiwan has existed as a sovereign political entity since the end of World War II, irrespective of the terms of Japan’s surrender and the arrival a few years later of the Chinese Nationalist Party (KMT) following its defeat at the hands of the Chinese Communist Party (CCP). Despite the KMT’s re-sinicization policies (meant to undo 50 years of Japanese rule in Taiwan), and though Chiang Kai-shek was hoping to retake the “Mainland,” the “ROC on Taiwan” existed as an independent political entity and over the decades the contours of that state were transformed by developments both domestically and within China. Little by little, and following the establishment of official diplomatic relations with the PRC by most foreign capitals, the ROC and Taiwan became increasingly interchangeable, a process that was consolidated with the country’s liberalization and democratization in the 1980s and 1990s. Even if some ideologues in Taipei continue to maintain that the ROC has sovereignty over all of China, in reality such claims are no longer legitimate; for all its shortcomings, the CCP is a legal political institution, and the PRC cannot be willed out of existence. Therefore two states, regardless of the nomenclature used to describe them, exist side by side. This has far-reaching ramifications for the terms under which a political union could occur. If, as Beijing claims, Taiwan were merely part of Chinese territory, then the value of the terms offered to Taipei to resolve the dispute would hinge on the maximization of benefits for Taiwanese as a minority within a larger political entity. Special administrative regions with varying levels of autonomy are one type of arrangement that has succeeded in mitigating the contradiction within states, from ethno-linguistic differences to wealth disparities. In all instances, the aim was to lower tensions by providing advantages to minority groups contesting the center. This is the type of concession that could help resolve conflict over the Donbas region in Ukraine, which as Richard Sakwa demonstrates in his book Frontline Ukraine, has a large population of Russian speakers whose culture has suffered as a result of rising Ukrainian nationalism in Kiev and elsewhere. In other scenarios, federalism has helped resolve conflicts, as the Quebec case has demonstrated rather successfully. What all these examples have in common is the notion that a minority group within a larger entity is offered special benefits as part of a bargain. In other words, something is gained through concessions. Taiwan’s case is markedly different. Having existed as a sovereign and self-ruled entity for more than six decades, Taiwan is consequently not a minority within a larger state, though it would become one following unification with China. As such, no matter what terms are offered by Beijing, Taiwan would not benefit the same way that national subunits will do under concessionary autonomy or federalism. In fact, it would invariably lose something. To put the matter differently: Can we name one thing that the Taiwanese do not enjoy at present that China could offer to them? Taiwanese inhabit a highly successful state, while enjoying the fruits of a modern economy and a liberal democratic political system. Why would they want to change it, given that they would lose something in the process—from the ability to conduct foreign diplomacy to the high risks, as demonstrated by Hong Kong’s experience under “one country, two systems,” of an economic hollowing out and an erosion of civil liberties? Even a much more generous offer than “one country, two systems” (e.g., federalism), which up until now has been Beijing’s only offer to Taiwan, would entail some losses for Taiwan. Rather than terms that can help resolve internal conflict in a pluralistic state, the solution for Taiwan is one that must recognize the reality that the two entities involved, though culturally and linguistically connected, are external to one another and exist independently. Any formula that regards Taiwan as analogous to, say, Donbas within Ukraine, or Xinjiang and Tibet within the PRC, will inevitably fail to win the hearts and minds of the Taiwanese. The reason is simple: rather that gain, something will be taken away from them. The only possible benefit stemming from such an arrangement would be the removal of the military threat against Taiwan, though this “benefit” would have been granted under coercive terms. Anything else, from expanded economic ties with China to regional cooperation, Taiwan can secure via accession to multilateral organizations or regional economic integration, bilateral free-trade agreements and so on. Needless to say, some of those would be closed to Taiwan following unification with Beijing. Consequently, the only concessionary agreement that could appeal to the Taiwanese is one, like the European Union, in which the two sides are treated as equal partners. For this to occur would require a major attitudinal change in Beijing along with a shift within the international community, perhaps entailing the normalization of relations with Taiwan under some creative “one China, two states” formula (we often forget that the “one China” policy is the policy of concerned states, not Beijing’s, and that they can give it whatever meaning they want. Or to echo former president Hu Jintao, “under ‘one China,’ everything is possible”). A first step in that direction (and this is admittedly a long-term endeavor) could be for Washington to officially declare that its “one China” policy includes the recognition that there are “two different interpretations,” something that Washington has not done to date. Other states would likely follow suit. By doing so, the United States would improve upon the current “status quo” in the Taiwan Strait by consolidating the notion that there in fact exist two entities, and thereby provide the benefits that Taiwan will need if it is to negotiate some future agreement involving its sovereignty with China. Symbolically this would be problematic for a segment of Taiwanese society that doesn’t want anything to do with “one China” and which understandably fears that the term could lead to gradual absorption. In practice though, any official recognition of Taiwan (or the ROC) as a distinct legal entity (and therefore enjoying diplomatic ties) would constitute a step in the right direction. Opponents should realize that “one China” can be an exercise in shadow boxing rather than the stipulation that Taiwan belongs to the PRC. As the lessons from sub-state minorities discussed above have demonstrated, all negotiations concerning a political union, whether this be federalism or limited self-rule, must provide an improvement on the status quo. Otherwise, whatever is gained is offset by the losses. In Taiwan’s case, no union will be worth its name unless it is an equal partner in negotiations and final agreements. Anything short of that would entail unacceptable losses and would likely be turned down by the Taiwanese, who see no reason to give away what they built through hard work and sacrifice.